Which hipster housewares are purchased together? Among the unicycle commuters and standing-in-queue-enthusiasts of Portland, Oregon, there’s a handful of people who make real, physical products. The folks I know personally tend to skew hipster housewares: My friend Rob produced a few thousand metal/wool/bamboo + mason jar French presses; Ken’s company is founded on hardwood iPhone cases; and Alyssa manages a company that sells fancy-pants sliding door hardware (actual door not included). Two weeks ago, a friend asked me over some beers to help analyze sales data for one of their product lines. My friend’s line consists of about a dozen items, each item available in two colors. Customers could buy any combination of items, and my friend wanted to know both which items and which combinations were the most popular. Technically, this is known as “affinity” or market basket analysis. There are plenty of fancy algorithms for this problem (think Amazon’s “customers who purchased this item also bought…”), but since my friend only has a dozen items I thought the easiest thing to do would be to just directly visualize his sales data. Darker colored squares means more sales (pretend I can cross-hatch with a pen, aight?). Of course, the whole problem is that the orders don’t neatly contain just one or two items. Some orders are for one item and others are for five. What we need is a visualization that allows us to compare all orders and to see which combinations of items customers are buying. If you want to play along at home, grab a pen and sketch out your own ideas. The rest of you, scroll on down. My friend’s products are listed along the sides, grouped by color (items A–I are one color; items a–i are another color). 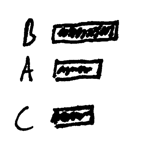 The number of orders for each combination is shown as a bar at the top of the column. 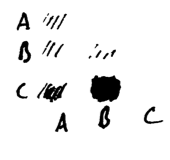 All of the counts are distinct. 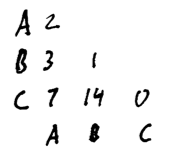 For example, there were 100 orders for A alone and an additional 25 distinct orders for A and B together. 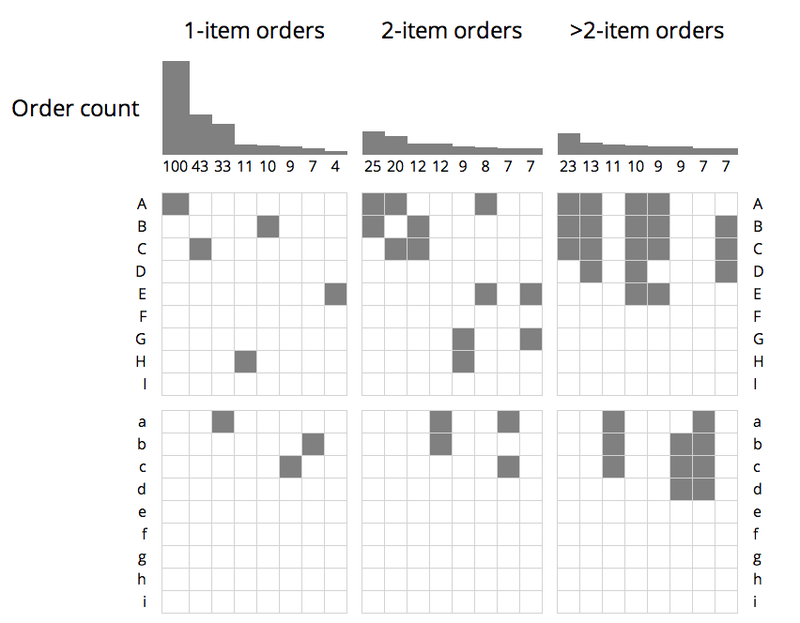 The columns themselves are grouped by the number of items in the order: The first column group are the top 7 single-item orders; the second group are the top 7 two-item orders, and the third group are the top 7 orders containing more than two items. What do you think? Did you think of a clearer way to visualize the co-occurrence data? the tree structure of HTML forces a symmetry break between columns and rows: HTML forces row-major ordering, which makes it difficult to write separate functions for the bar charts, labels, and item-grid.